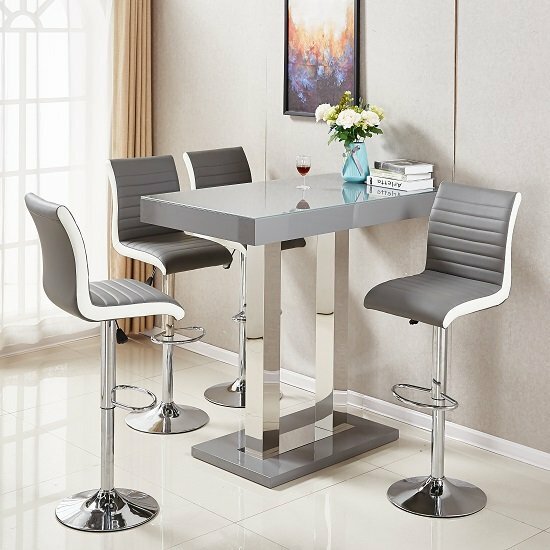 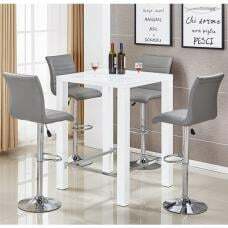 Caprice Glass Bar Table In Grey High Gloss With Stainless Steel Support And 4 Ritz Grey And White Bar Stools In Faux Leather With Chrome Base, will brings elegance and a contemporary style to your dining space. 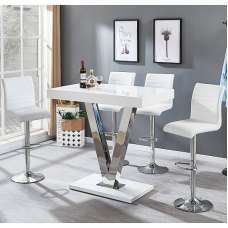 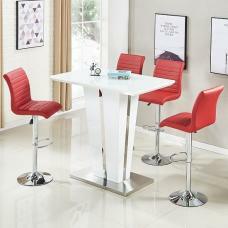 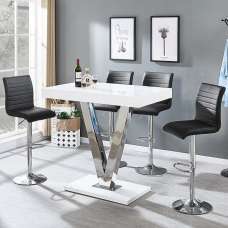 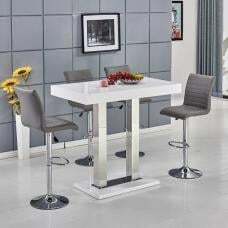 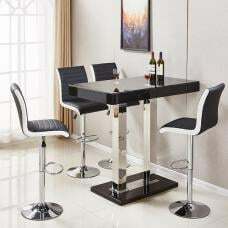 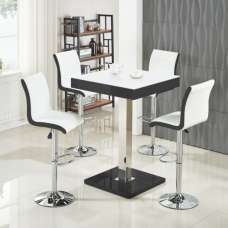 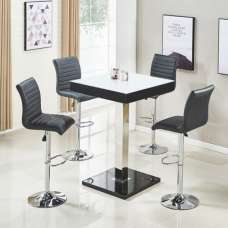 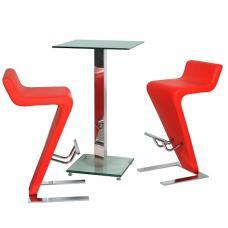 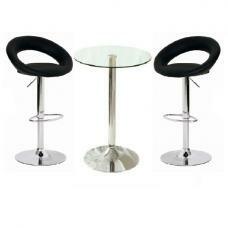 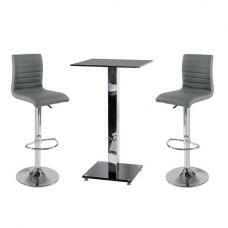 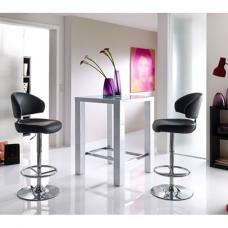 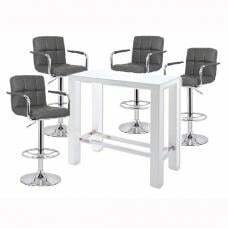 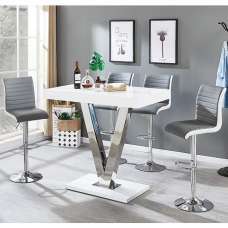 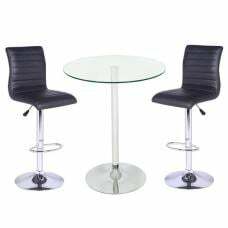 Table Crafted from High Gloss Grey with glass top and Stainless Steel Support and Bar stools are made of Grey And White Sides in Faux Leather With Chrome Base. 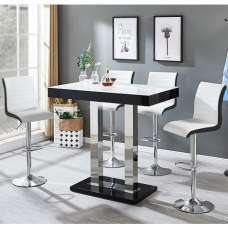 A sleek and solidly built Set provides the perfect place for drinks and snacks at a weekend social get-together in the garden.